Abu Yousaf Traders deals in sanitary ware, ceramics, furniture and fancy lights. 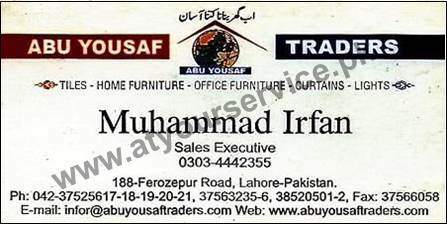 Abu Yousaf Traders is located on Ferozpur Road, Shaheed Colony, Ichra, Lahore. It deals in sanitary ware, ceramics, furniture and fancy lights.